Vertical Sleeve Gastrectomy helps you lose weight by restricting the amount of food you can eat by reducing the size of your stomach. This surgery is not reversible. Vertical Sleeve Gastrectomy is a procedure that is effective for weight loss. This procedure helps you lose weight by restricting the amount of food you can eat by reducing the size of your stomach. 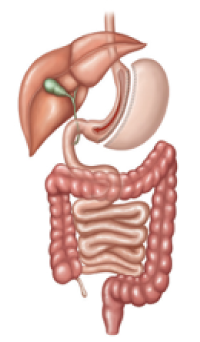 During surgery, the stomach is divided vertically and 85% of it is removed. This surgery is not reversible. The nerves to the stomach and the outlet valve (pylorus) remain intact to preserve stomach function. There is no intestinal bypass; therefore there is no change to your natural intestinal anatomy. Unlike other weight loss surgeries, this procedure is appropriate for patients with low and high BMI. It’s not uncommon for patients who are severely obese (over 200 pounds), to lose upwards of 100 or even 200 pounds. With this dramatic weight loss, it significantly improves your health and decreases your risk factors so that you can have an additional surgery (if needed) to help you continue your weight loss. Once your BMI is lower (35 to 50), you can have a follow-up surgery, such as the gastric bypass or Lap-Band®. You’re concerned about the potential long-term side effects of an intestinal bypass, such as intestinal obstruction, ulcers, anemia, osteoporosis, protein deficiency and vitamin deficiency. You’re considering a Lap-Band® but are concerned about the use of a foreign body. You take anti-inflammatory medication. Typically, these medications must be avoided after a gastric bypass because it increases the risk of ulcer. You are able to eat most foods, but in small amounts. The portion of the stomach that produces the hunger-stimulating hormone (ghrelin) is eliminated. There is no worry about dumping syndrome (uncomfortable symptoms, such as abdominal cramping or nausea, which occur as a result of food rapidly “dumping” into the small intestine). Patients with anemia, Crohn’s disease and other conditions deemed too risky for a gastric bypass procedure can have a vertical sleeve. This is very effective as an initial procedure for patients with BMI of 55 or more who may want to follow-up with a second one. Results are promising for low BMI (35 to 45) patients, who do not need a follow-up procedure. On average, patients who undergo a vertical sleeve gastrectomy lose 60 to 80% of excess weight in the long run. There is a potential for inadequate weight loss or weight regain to occur with the vertical sleeve since it does not bypass any of the intestine. Soft calories, such as ice cream and milkshakes, can be absorbed and may slow weight loss. This procedure involves stomach stapling, which brings the risk of leaks and other complications. Because the stomach is removed, this procedure is not reversible. I have been over weight for 34 +years. About 6 years ago I found out I had type 2 diabetes that spiraled out of control. Then, in December of 2015, my life changed when I met the team at McMinnville Surgical Associates. My experience working with them has been life changing. They went out the their way to make sure before and after surgery went great. They called to check in and to see how I was doing. As of today I am down 115 pounds from my highest point and am off all medication. I’m no longer a diabetic and am the healthiest I have ever been.